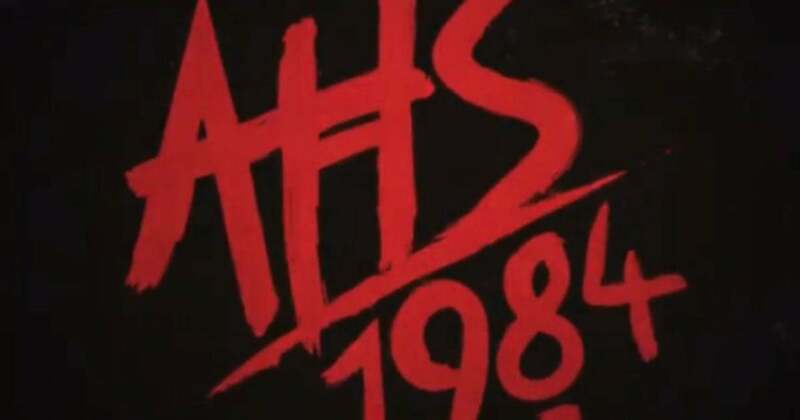 American Horror Story‘s latest batch of themes have included everything from a clown cult to a haunted hotel to a radioactive bunker, and now we finally know what season nine‘s story will revolve around: the year 1984! Well, more specifically, a killer straight out of an old-school ’80s slasher flick chasing young women through the woods in 1984, judging from the teaser that Ryan Murphy shared on Wednesday (above). In addition to the chilling visuals and song featured in the brief clip (which is Billie Eilish’s “Six Feet Under,” FYI) the teaser also includes our first hint about when to expect season nine to arrive on FX: this Fall! Murphy declined to reveal an exact date, but when you take a look back at when all the other seasons have made their debuts on the network, it’s not hard to narrow down a range of dates. Seasons one through five all premiered within the first two or three weeks of October, with the earliest being Oct. 5 and the latest on Oct. 17. More recently the series has been coming out a little earlier. Seasons six, seven, and eight — Roanoke, Cult, and Apocalypse, respectively — premiered on FX within the first two weeks of September, the earliest being Sept. 5 and the latest on Sept. 14. If we had to bet, we’d say season nine of American Horror Story will hit your TV screen in a date in line with the latest seasons.